Be ready for every mile by bringing your car to the mechanics at Wayne’s Auto Repair. We offer comprehensive auto maintenance in Westerville, OH, designed to keep your vehicle in peak condition for years. From changing the oil to replacing timing belts and installing wipers, we take on jobs of all sizes. Turn to the ASE-certified technicians at our auto repair shop to extend your vehicle’s life and help you avoid expensive repairs down the road. Although no car lasts forever, yours can last longer with the right care. By staying on top of your maintenance, you catch problems before they worsen. 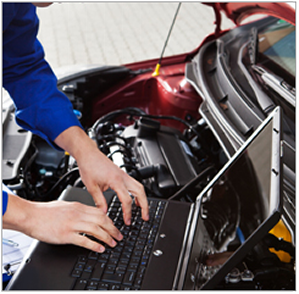 We start all services with a diagnostic, using the latest technology to pinpoint issue sources and ideal solutions. If something seems out of place, we recommend the service that prevents it from progressing. You can count on us to treat the problem without overcharging you because we only suggest necessary repairs and provide estimates up front. One of the easiest ways to keep your vehicle running is regular tune-ups. We inspect everything from the engine’s oil levels to spark plugs and adjust minor issues before they develop into major ones. The recommended schedule varies based on make, model, and mileage. An exact timetable is usually in the owner's manual, but they’re recommended every 30,000 miles. Stop by our shop, and we’ll identify your car’s requirements. If your car is sputtering, slow to respond, or stalling, chances are you need maintenance or repairs. Regular tune-ups not only extend the life of your vehicle but also eliminate these minor knocks while improving gas mileage. From replacing hoses and belts to cleaning the fuel injection system, we perform a range of services to keep things running smoothly. Whether you drive a foreign or domestic vehicle, your car needs an oil change every 3,000-5,000 miles. Visit us today to take advantage of our $19.95 special rate. We perform only the highest quality work with standard and synthetic oil blends, so your car is road ready for many years. With more than 30 years of industry experience, our skilled ASE-certified mechanics have the knowledge and expertise to tackle every type of service. We work quickly and efficiently to get you back on the road as soon as possible. Since 1999, we have had the pleasure of working with countless local drivers. When your vehicle needs maintenance or repairs, avoid the high dealer prices and visit us. With 2 locations in Westerville and Columbus, our family-owned business provides comprehensive maintenance for vehicle owners all over the area. Count on us to deliver the leading standard for every need. Contact Wayne’s Auto Repair to discuss your vehicle. We look forward to treating your car with as much respect as we would our own.